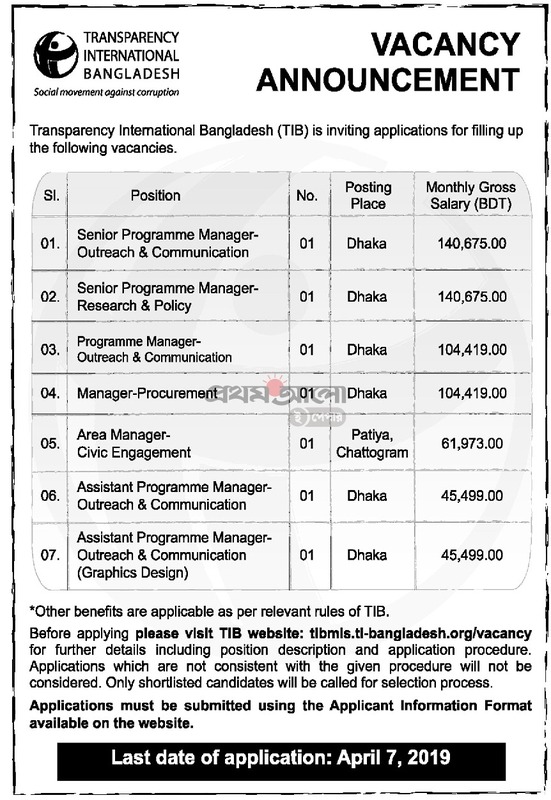 Transparency International Bangladesh (TIB) Job Circular 2019 has been published by the authority. To get TIB Job Circular related all information ,you can visit my website that is jobs.lekhaporabd.com. It’s an attractive job circular. Anyone,can take this opportunity. Everybody, want to build their career,in this case they can to apply to get this job. If you want to apply for this job,you should submit your application within 07 & 23 April 2019. 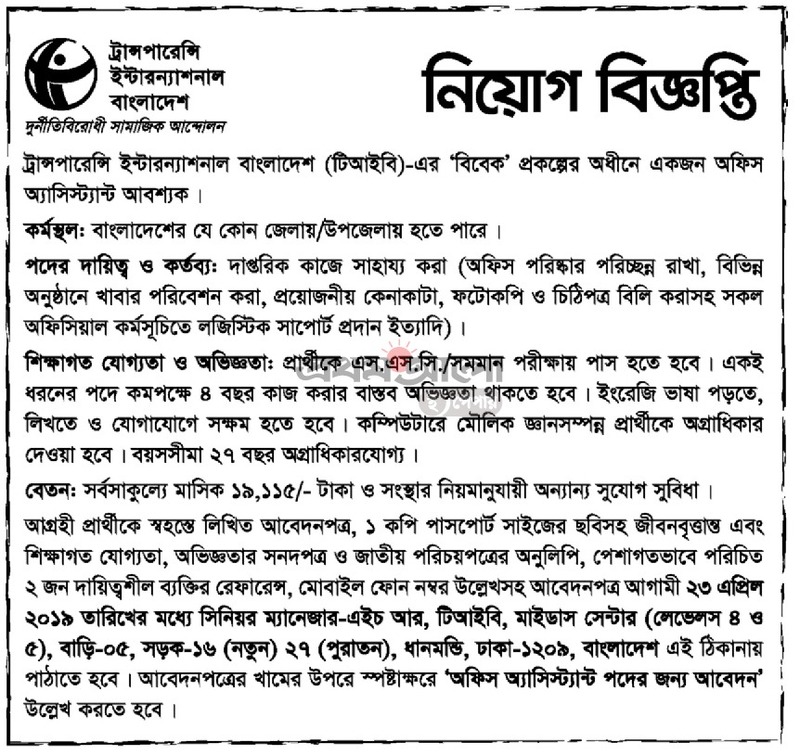 TIB Job Circular has been converted to an image file,so that people can easily read and download this job circular. I have dynamic and challenging attitude about my assigned responsibility. I am very much confident about my ability. responsibility. Iabor and skills. I want to build up my career at a reputed organization. English :Fair reading writing and speaking ability. * Ambitious. courteous.amicable. energetic. enthusiastic. creative confident. punctual with the ability to any environment. I certify that all information stated above is trus and complete to the best of my knowledge.